On Feb. 21, 1948, at the Brooklyn Little Theater on Hanson Place, a production of “Therese,” adapted from Emile Zola’s 1867 novel “Thérèse Raquin,” opened for a limited run. It was a brave move for the Little Theater; the premiere of this adaption had occurred three years before in 1945 at the Biltmore Theater on Broadway. Starring the grande dame of the American stage, Eva LeGalliene, as Therese; Victor Jory as Laurent, her lover and partner in murder; and Dame May Whitty (well-known to American film audiences for playing Miss Froy in Hitchcock’s “The Lady Vanishes” and Lady Beldon in William Wyler’s “Mrs. Miniver”) as the formidable Madame Raquin, the play was not well received, both critically and commercially. Now, a new adaptation by the esteemed English playwright Helen Edmundson, starring Keira Knightley in her Broadway debut, has opened at Studio 54. In the interim between the Brooklyn Little Theater production and this new adaptation, there have been many other “Thérèse Raquin” incarnations, including a 2001 Broadway musical called “Thou Shalt Not,” with a score by Harry Connick Jr.; a 2007 production by Quantum Theater in Pittsburgh, staged in an empty swimming pool; and “The Artificial Jungle,” a 1987 reimagining of the Zola work as a James M. Cain novel by the enfant terrible of Off-Broadway, Charles Ludlum. Brooklyn Eagle: What was your greatest challenge in adapting a novel written in 1867 and making it relevant for a contemporary audience? 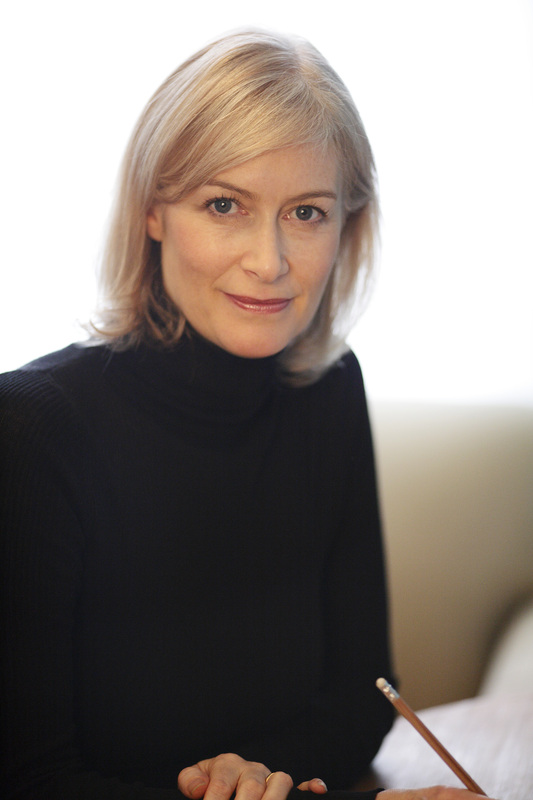 Helen Edmundson: Whenever I think about adapting something, I first ask myself if the play will still resonate today. Aside from whatever period the play is set in, the ideas in it must be able to leap through time. 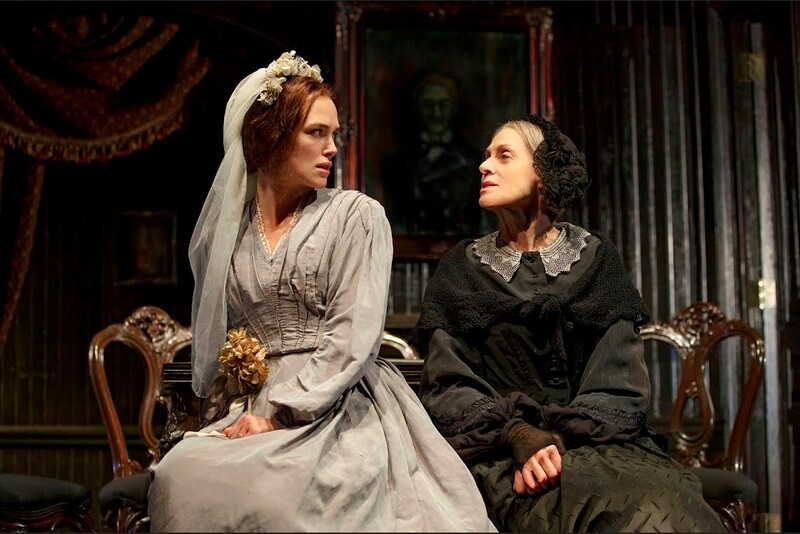 “Thérèse Raquin” is a study in guilt and the consequences of what happens when we give in to our primal, animal instincts. That is a timeless theme. BE: Because so much of Zola’s novel portrays the characters’ hidden passions and interior thoughts, how did you handle the challenge of dramatizing these emotions? HE: There is quite a lot of repetition in the novel, indecision, repressed emotions. In a play, everything has to keep progressing. So, it was important for me to keep things moving, almost inexorably. So much of this production is steeped in the characters’ physicality. For example, the sequence where Therese, Camille and Laurent go to walk by the river. Zola has pages and pages of description. In my adaptation, I wrote physical directions for the actors. The actual look of the scene — the river, the embankment — I left up to Evan [Cabnet], the play’s director, and Beowulf [Boritt], the set designer. When I write my plays, I don’t devote a lot of attention to the sets. In fact, sometimes the plays, as I’ve written them, are set in bare, empty spaces. BE: In watching the play, I was struck by its modernity. Parallels with such examples of roman noir as “Double Indemnity” and “The Postman Rings Twice,” were inescapable. Do you feel that “the affinity of blood and lust” that Zola refers to in the novel is a universal and timeless theme? HE: We spend much of our lives controlling our instincts, struggling with the contradictions of societal restraints and human desires, dealing with conflicting forces and emotions. This struggle knows no boundaries of time, place [and] nationality. People have, and always will, wrestle with these strong, elemental forces. BE: You certainly don’t seem at all intimidated about stepping into the ring with the heavyweights: you’ve written adaptations of Euripedes, Tolstoy and George Eliot. Audacious, brave choices. What makes you so fearless? BE: Finally, were you ever tempted to have an animatronic version of Francois? [Note: Francois is Madame Raquin’s black cat, who, in the novel, bears mute witness to Therese and Laurent’s passions.] Or to recreate Laurent’s fear of Camille’s portrait? HE: (Laughing) I have to be realistic about what things are possible on the stage. It would have been extremely difficult to have had a cat, whether real or animatronic, without having the audience giggle. As for Camille’s portrait terrifying Laurent, I left it out because I wanted to strictly follow Therese’s story. She is the fulcrum of the play; Camille, Laurent, Madame Raquin, all rotate around her. It is her story. 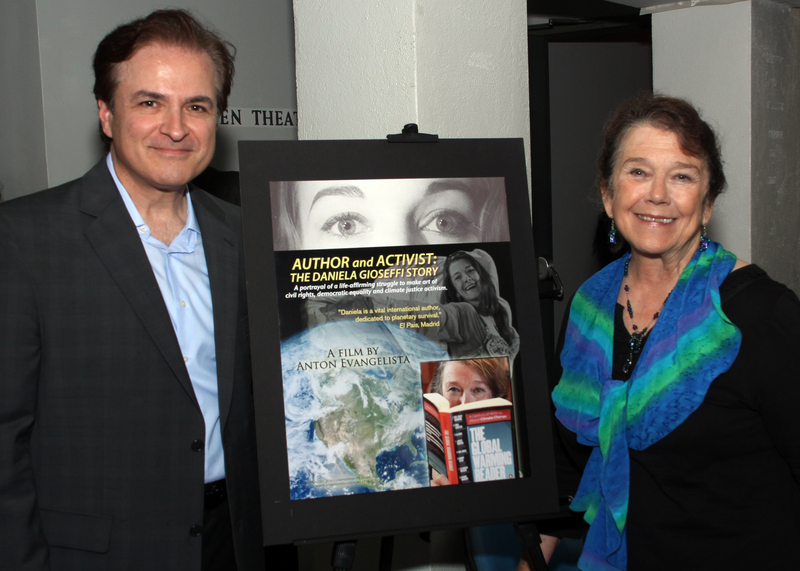 On the evening of Wednesday, September 30, we viewed a private preview screening of the film Author & Activist – The Daniela Gioseffi Story by award winning filmmaker Anton Evangelista at the Maya Deren Theatre on Second Avenue. Evangelista’s film, Umberto E is a documentary on his Italian immigrant father’s orphaned life and survival in America and won him awards. Anton Evangelista has put together all the pieces of Daniela Gioseffi’s life and laid them bare for all to see. She is a Brooklyn Heights resident and has been a poet of renown, civil rights activist and the author of sixteen award winning books on prose and poetry. They include Blood Autumn, Women on War: International Writings:, On Prejudice: A Global Perspective and her latest book, Pioneering Italian American Culture: Escaping la vita della cucina. A satirical book on the belly dance as a feminine dance of child birth as well as sensuality entitled The Great American Belly Dance was a big seller. A class on the belly dance that my wife Judy took with Daniela was complete with outfit and zills. A whirling dervish and liberated spirit ensued, thanks to Daniela. With remarkable photos, Ms. Gioseffi discussed her family in Italy, her grandparents, one of whom bore 20 children, her father Donato who arrived here with a limp from an accident in Italy and not speaking English. By strength of will and character he earned a college degree and became a professor and scientist. 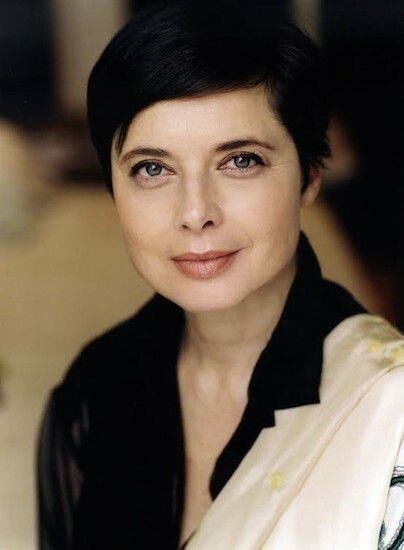 That grit was transferred to Daniela Gioseffi who kept her Italian name, dabbled in acting and then chose poetry and activism to fill her life. One still hears and feels her passion for justice through the voices of her Italian ancestors. She defied the Ku Klux Klan (KKK) down South and was molested by one KKK chieftain. She marched with Martin Luther King Jr. and currently raises her voice against global warming and is like Pope Francis on the side of the angels for awareness of both racism and climate change. Ms. Gioseffi who has a daughter, singer/songwriter Thea Kearney and grandchildren still looks radiant and ready to challenge the forces of bigotry and hatred. She laments the lack of progress in the fight for equality for all. Has it been quixotic? Only time will tell if we have a planet left at all. Ms. Gioseffi ponders these issues from her apartment in Brooklyn Heights with its spectacular venues of bridges and river. That is what she has been doing to unite all humankind as one, from the “old world” to the new – building bridges and crossing rivers. According to Anton Evangelista, Daniela makes great lasagna. This film is like great lasagna, multi layered, many ingredients, savory and unforgettable! The outstanding film maker Anton Evangelista will make you ponder the vital adrenalin that makes Daniela Gioseffi, unstoppable and what she contributes to make more perfect our vast American mosaic. The standing room only house and the exciting audience response at the Question and Answer period afterwards indicated a large future following for this vital film. It was nice to see Mario Fratti, playwright (Nine) Maurice Edwards former president of the Brooklyn Philharmonic, Lou Barrella opera lecturer, August Ventura, Verdi scholar, Alba Mazza teacher/pianist, Antonio Guarna, tenor/composer and many others from Brooklyn and around the world to whom Daniela Gioseffi is an icon. 2015 Vocal Competition Winners. Photo by Don Pollard. 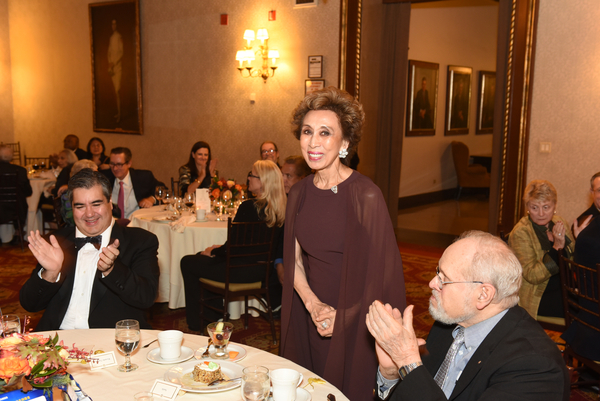 On the evening of Sunday, October 18th at the New York Athletic Club on Central Park South, The Licia Albanese-Puccini Foundation hosted its 41st Annual Concert & Dinner. 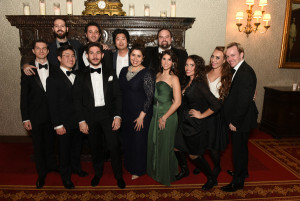 The concert, prior to the dinner, took place at nearby Zankel Hall in the Carnegie Hall complex, The event was in memory of the late legendary soprano Mme. Licia Albanese, patrons Cecil Spanton Ashdown and Maria Theresa Fauci. 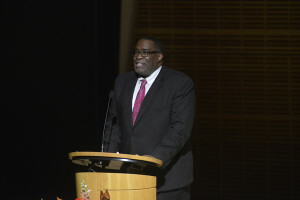 Sachi Liebergesell, President of the Licia Albanese-Puccini Foundation gave us all greetings and introduced the genial host, Metropolitan Opera basso Eric Owens. The young awardees then performed and gave us a delicious sampling of opera’s future. Tenor Ricardo Tamura, Sachi Liebergesell and Joseph Gasperec. Photo by Don Pollard. Soprano Vanessa Vasquez enthralled us with “Je dis que rien ne m’epouvante” (Micaela’s air) from Bizet’s Carmen. Ms. Vasquez’s angelic purity of tone and powerful flights took us to the bright side of the moon, a pity that Don Jose preferred the dark side, to his downfall. “Canzonetta sull’aria” duet from Mozart’s Marriage of Figaro was sung as a delightful blend by sopranos Kirsten Mackinnon and Mia Pafumi. “A mes amis – Pour mon ami” from Donizetti’s La Fille du Regiment was brilliantly sung by the beguiling Australian tenor Alasdair Kent. The 9 high C’s were cupids golden arrows, each one a priceless gift hurled at the heart of the audience. A real rarity followed with “Quella e una stra- stra-strada” from Mascagni’s Le Maschere. It is a stuttering song that was brilliantly sung by baritone Dogukan Kuran who lost neither pitch nor his bearings while skillfully hammering each note! Soprano Alison King and tenor Mario Rojas sang a heartfelt “O soave fanciulla” from Puccini’s La Boheme, walking backstage arm and arm and hitting two powerful high C’s at the offstage finale. Ah! Love, sweet love! Marjan & Jane Kiepura with tenor Mario Rojas. Photo by Don Pollard. “Hab’ mir’s gelobt, ihn lieb zu haben” trio from Richard Strauss Der Rosenkavalier sung by sopranos Chloe Moore and Heather Phillips and mezzo Megan Marino, blended beautifully like a triple tiered Viennese pastry. Part two followed with “Suoni la tromba” from Bellini’s I Puritani thrillingly sung by baritone Jared Bybee and bass Andre Courville. A tour de force and a “Golden age” blend by this dynamic Bel Canto duo! “Pays merveilleux!…O paradis” from Meyerbeer’s L’Africaine” was sung by William Davenport whose ringing finale evoked the great legendary tenors Leon Escalais and Beniamino Gigli! Sol Jin’s beautiful lyric baritone captivated us with “Avant de quitter ces lieux” from Gounod’s Faust. The climactic finale was spun on an ascending web of gold. Andrew Stenson sang “Firenza e come un albero fiorito” from Puccini’s Gianni Schicchi, his radiant tenor soaring to the heavens with excellent comedic flair. Top prize winner soprano Marina Costa-Jackson sang “Morro, ma prima in grazia” from Verdi’s Un ballo in maschera. 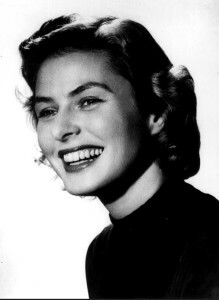 She was a like a volcano of vocal splendor erupting power and emotion with beauty elegance and style. Marina Costa-Jackson is truly a gift to the world of opera. 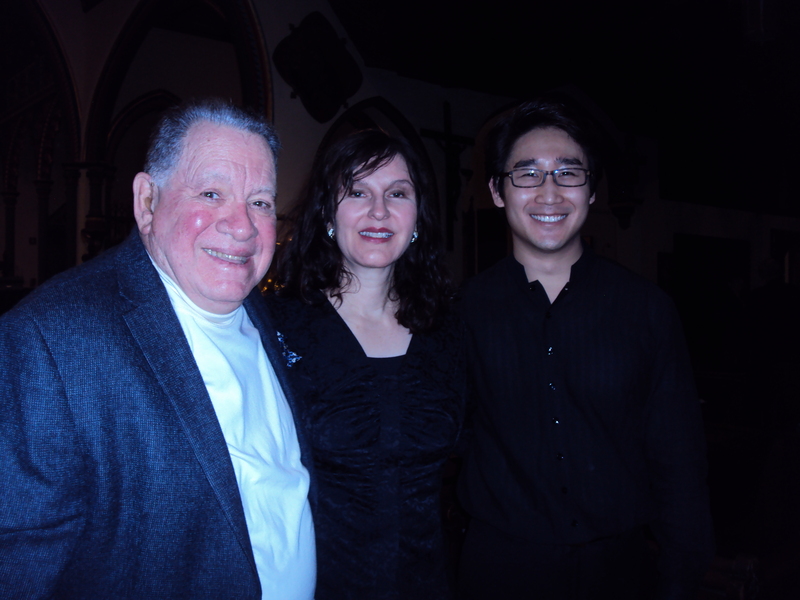 The superb accompanists were Jonathan Kelly, courtesy of the Metropolitan Opera and Arlene Shrut. The guest artists all of whom performed wonderfully were Met tenor Ricardo Tamura, who sang a thrilling “Nessun dorma” from Turandot, Susan Neves whose soprano totally enveloped Tosca’s world in a captivating “Vissi d’arte”, baritone Stephen Powell whose gorgeous singing of “Di provenza, il mar il suol” earned him an ovation and mellow Met mezzo Ginger Costa-Jackson and her soprano sister Marina who enchanted us all with a deliciously androgenous “Barcarolle” from Offenbach’s Tales of Hoffmann. 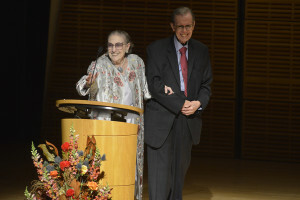 Betty Cooper-Wallerstein patron and presenter spoke of the need for music in today’s world so lacking in beauty and harmony. In the audience we spotted Met opera soprano and Kennedy award winner Martina Arroyo, Gloria Gari, Board Chair of the Giulio Gari Foundation, pioneer Maestro Eve Queler, Brooklyn’s sparkling Elaine Malbin and Met mezzos Jane Shaulis and Nedda Casei still luminaries of the highest order. 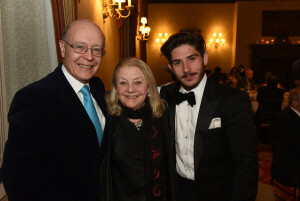 Stephen De Maio, President of the Gerda Lissner Foundation was praised by longtime patron and Executive Director of the Musicians Emergency Fund, Marie Ashdown for his dedication as Artistic Director of the Albanese-Puccini Foundation. Vice President and General Counsel, the erudite Brian O’Connor, Esq. made the concluding remarks noting the importance of beauty and culture in our world and how these talented awardees will enrich our lives. Host, Met Basso, Eric Owens. Photo by Howard Heyman. Marie and Joseph Gimma with Christine and Alfred Palladino. Photo by Don Pollard. 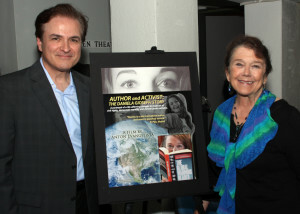 Marie Ashdown and Stephen De Maio. Photo by Howard Heyman. At the elegant dinner afterwards, Chopin pianist Marjan Kiepura, son of renowned operetta soprano (The Merry Widow) Marta Eggerth and famed Met tenor Jan Kiepura spoke of the joys his mother had singing well into her 90’s at the Albanese-Puccini galas. Earlier he presented an award in his parents name to tenor Mario Rojas, accompanied by his wife Jane. With good food, wine and dessert, we met many friends including Steve De Maio of the Gerda Lissner Foundation with his team, Michael Fornabaio, Joyce Greenberg, Barbara Ann Testa and Cornelia Beigel all of whom contributed greatly to the success of the evening. It was so nice to see Commendatore Aldo Mancusi and his wife Lisa from the Enrico Caruso Museum in Brooklyn. Licia Albanese was a friend and often came to see the mini-theatre that bears her name. We exchanged pleasantries with Opera Index treasurer Murray Rosenthal, Vice President, composer Philip Hagemann, staging wizard Joe Gasperec and also Glenn Morton from Classic Lyric Arts. 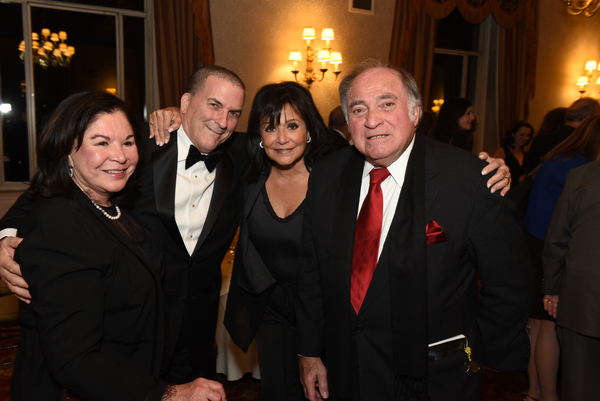 Kudos to the Licia Albanese-Puccini Foundation and in particular Joseph and Marie Gimma, son and daughter-in law of the legendary soprano-founder Licia Albanese (1909-2014) whose spirit prevails and soars! All sent their best to our readers. The Brooklyn Eagle also still soars on the musical and cultural horizon! Through Oct. 4, the Brooklyn Academy of Music (BAM) is presenting the Barbican production of poet Anne Carson’s new, colloquial translation of Sophocles’ “Antigone,” starring Oscar Award-winning actress Juliette Binoche and directed by Ivo van Hove (who is also directing two major Broadway revivals this season, “A View from the Bridge” and “The Crucible.”) The play is presented in association with the Toneelgroep Amsterdam and co-produced by Theatre de la Ville, Paris, Reclinghausen, Germany and the Edinburgh International Festival. With this illustrious pedigree, Antigone is one of the highlights of this season’s Next Wave Festival at BAM. If ever there was a role that demands that commitment it is Antigone. As politically and emotionally urgent today as when it was first produced in 441 BC, the play posits the ultimate existential question: loyalty to state or to family? By telephone, the Brooklyn Eagle started by asking Binoche about the special challenges of performing a Greek tragedy for a modern audience — and why she decided to take on this challenge. Juliette Binoche: What Greek tragedies give us are myths, and myths are timeless. They are not just stories. They are towering works about transformation. They reflect a tradition that is beyond time. They ask eternal questions. For me, to do “Antigone” is an awakening, a journey. I hope the audience joins me on this journey. Brooklyn Eagle: You return frequently to the stage in the midst of your busy film schedule. Do you find working in the theatre revitalizes you? JB: Because my real roots are in the theater — both of my parents were involved with theater — I feel like when I return to the stage I’m returning home. My original goal was to be a theater actor. My film career just sort of happened spontaneously. I enjoy the challenges and satisfactions of both and I feel lucky to have that freedom to go back and forth between stage and film. BE: Finally, it seems like you are always working — touring in Antigone, filming “Slack Bay” and “Polina,” recently completing the films “The Wait,” “Nobody Wants the Night” and “The 33.” When do you come up for air? Do you allow yourself some down time for family, friends, just sitting in a comfortable chair, reading a good book? JB: My pleasure is to work. It is a source of constant joy. My kids, who are grown up now, come to see my work. My choice is, and always has been, to dedicate myself to telling stories. We need these stories to learn about ourselves. And then we take what we learn into our real lives. It’s a sort of circle. 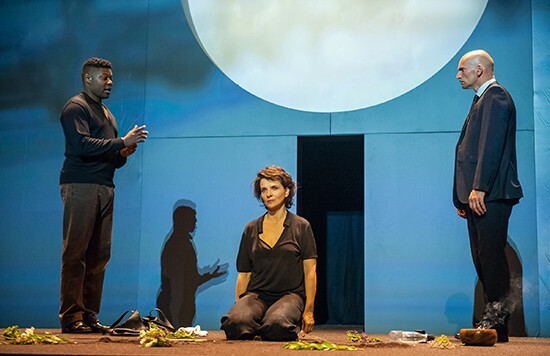 From left: Obi Abili, Juliette Binoche and Patrick O’Kane.